"Turashima" is a Kinyarwanda word that means "we are thankful." The #TURASHIMA campaign invites Rwandans and friends of Rwanda to join together in thanking God for what He has done over the last 21 years. 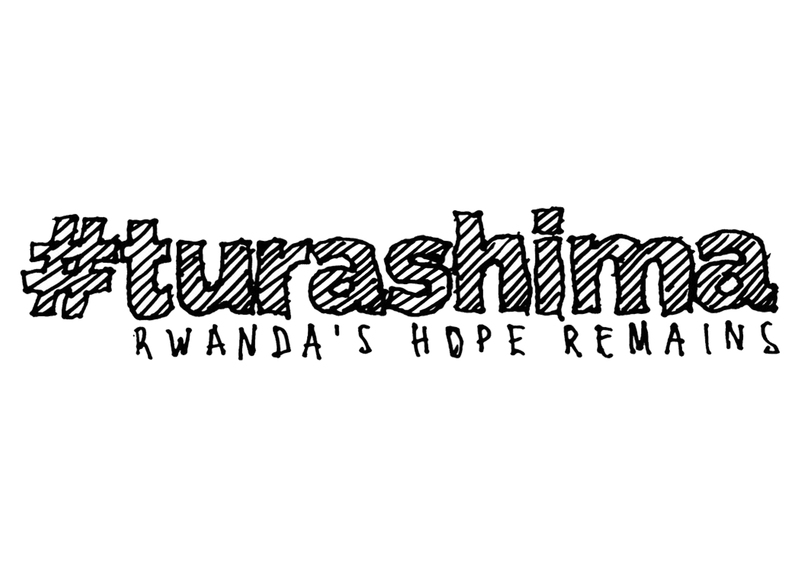 The #TURASHIMA hashtag lets the world discover Rwanda's many #TURASHIMA photos, videos and posts of gratitude. Let's join together in telling the world why Rwanda's hope remains. 1. Make a #TURASHIMA sign. 2. Hold your sign and take a photo. 3. Post your photo on Facebook, Twitter and/or Instagram. 4. Explain the campaign and tell the world what you're thankful for. 5. Hashtag #TURASHIMA and nominate friends to join the campaign! FOLLOW THE CAMPAIGN --> VIEW MORE HERE. The #TURASHIMA campaign is a campaign of Beauty For Ashes in partnership with Revamp. For more information, visit www.beautyforashesrwanda.com or send an email to beautyforashesrwanda@gmail.com.